After a summer of very little modelling, for various reasons, it's been nice to get the modelling tray out and pick up a project I started a while back. 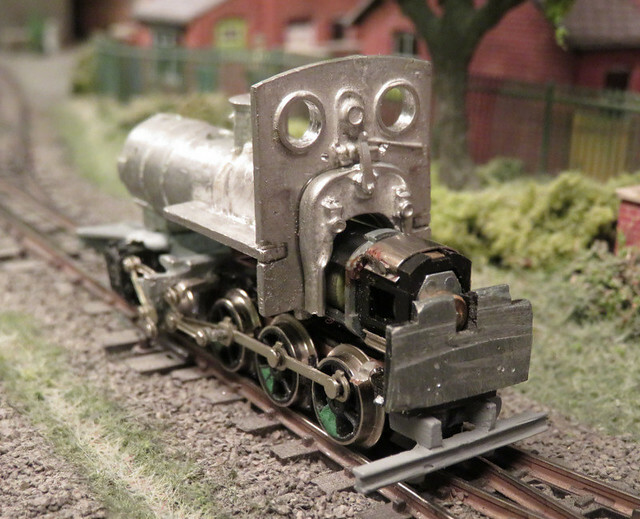 This is the Langley kit for a War Department Hunslet 4-6-0, which fits a much-modified Minitrix 2-6-2 chassis - those modifications being the most complex part of the kit! 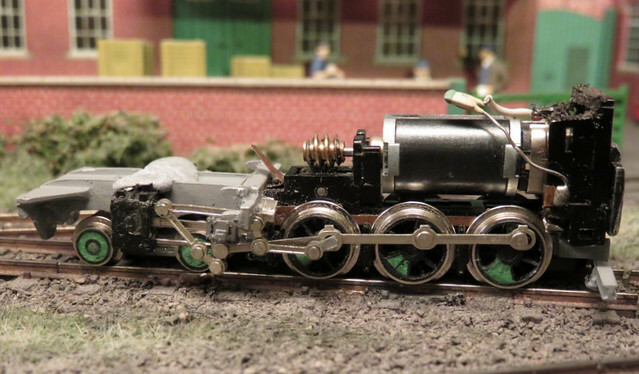 So far I have successfully dismantled the chassis and cut the block to shape, moved the connecting rod from the middle to front wheelset, attached the bogie and front frame, and started re-assembly. The cylinders move forward, and this leaves the con-rod and valve gear at a bit of a stretch, while the tab on top of the slide rods glues under an outrigger. Except here's the problem. The mechanism binds, and I'm certain it's because where the crank pins are furthest from the cylinders the valve gear is pulled tight, and just won't go any further. I suppose I could shift the cylinders back a mm or so, but I don't think that's right. Also the plated metal valve gear means the tab on top of the slide bars doesn't want to stick to the whitemetal outrigger, even superglue gives way. Plus the bottom of the valve gear is frighteningly close to the track. So on the other side I've modified the outrigger, trimming the back of it so that the shiny tab sits on top of the rear "shelf". It will still need gluing but it is held more securely. This will be hidden by the side tanks too, so big blobs of epoxy might be in order. The result is the slide rods are lifted at least 1mm relaxing tension on the valve gear at full travel, and giving more ground clearance too. I've also rotated the cylinder slightly closer to the horizontal to line up with the slide bars - I think they look closer to the prototype pictures, plus that moves the face of the cylinder back a fraction. The cab front and back-head has a slot for the motor, except the motor is too wide to fit. Unless, as shown, the motor is rotated 90 degrees to the vertical - where with a little filing it should fit. However the instructions don't mention this, and as the rear plastic support would need removing, and new connections making to the pick-ups as well as a means of stopping the motor spinning, I'm sure it would be if that were intended. Given the motor will be inside the cab either way I see little advantage, so I'll probably be grinding away a lot of whitemetal! 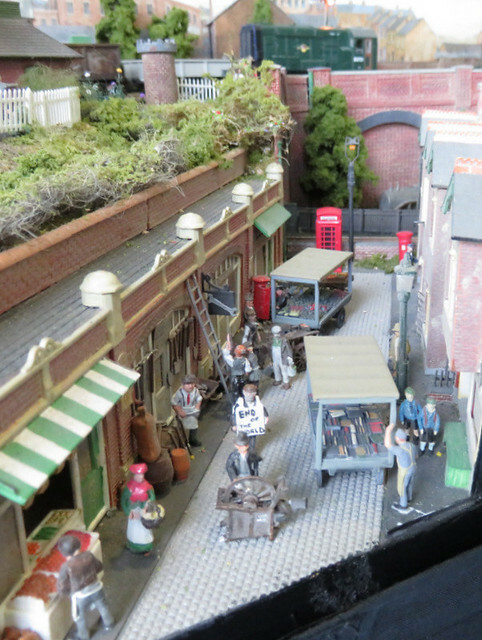 I enjoyed a visit to the Worthing model railway exhibition with my son today. I'll start by being a little controversial: at first I found a lot of the layouts a little uninspiring... perhaps it's because my tastes are a little off-beat, perhaps because there was no narrow gauge (I made it 10 OO, 1 EM, 3 N, and 1 O, which could be considered a poor balance), and arguably a rather narrow range of themes (BR steam dominated). Maybe a lot of club layouts, which can tend to be unadventurous - and a number of them are widely seen. However I should say it wasn't a lack of quality, the layouts were a high standard, and the selection probably appealed to most visitors. There were a couple of layouts with over-loud DCC sound which quickly became tiresome, which I moved on from pretty quickly (when it can be heard across the room it is definitely overdone!) , a shame as the modelling was good on both. Anyway, here's a few of my favourite shots, click on the pictures to see them larger. 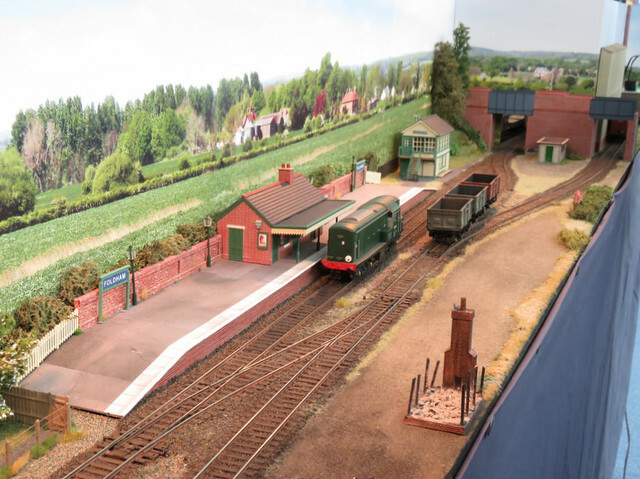 I did like the simplicity of Foldham (OO, Mike Denwood), which showed that a compact and easy to build layout could be attractive. Details like the burnt out shed gave it life. 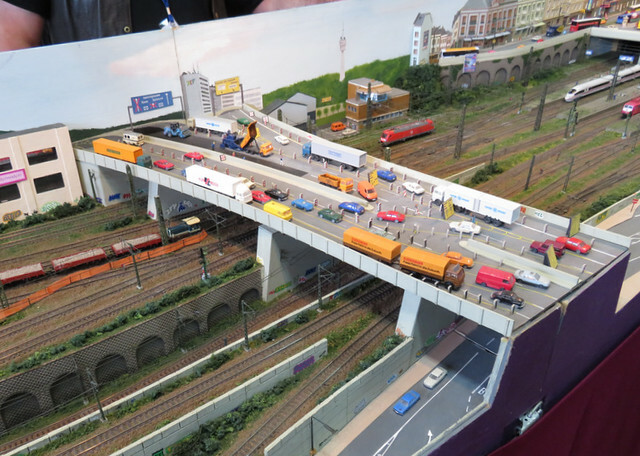 Kayreuth (N, Ian Hogben) is a German crowd-pleaser layout full of cliches and trains (and trams) whizzing by. But it is well built and detailed, giving it character beyond the commercial parts that make it up, such as this well-modelled motorway (autobahn) contraflow. New Bridge Street (OO, River MRC) is compact and well detailed, with a strong setting (London), this street scene caught my eye. Pevensey Beach (OO, Pevensey Bay MRC) is a nice layout, but it is the station concourse that really caught my eye. The detail of the building and canopy is well executed, while the cut-away building showing the parcels office interior is an unusual (and brave!) move. Summer Springs on the Cut (OO, Andrew Knights) is already a favourite of mine. It's an idyllic and well-modelled scene, which will hit a chord if you ever read Arthur Ransome. So that shows I did find quality and inspiration. The trade support was good too - some good second-hand stalls (good for my son to spend his pocket money), and my usual favourite (Squires - I always find something I need! ), plus some specialist traders as well as the bigger shops. 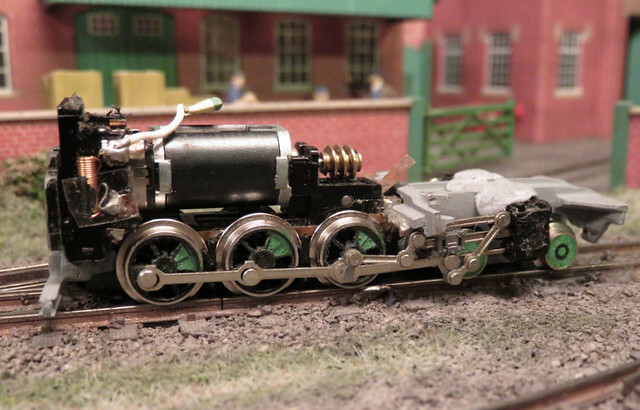 I have to confess it's not the first Sentinel I've got - I have one of the steam vertical boiler locos too. 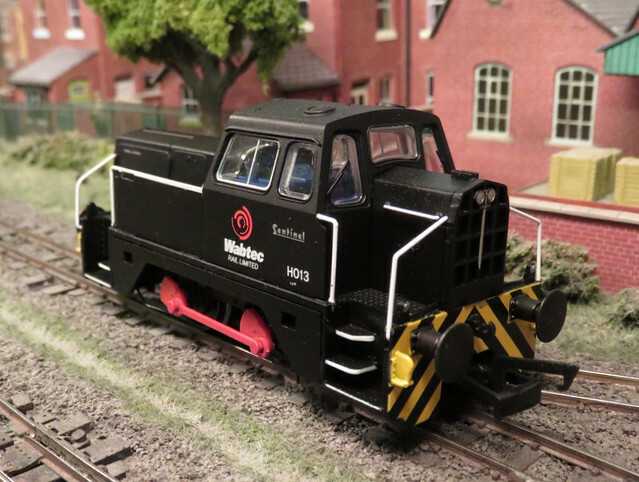 Two generations of industrial shunter, now where are those plans for a shunting layout? 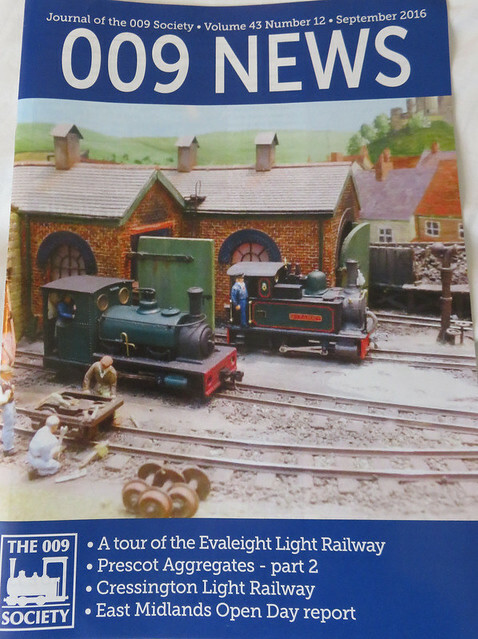 ..Another of my locos on the front of the 009 News! 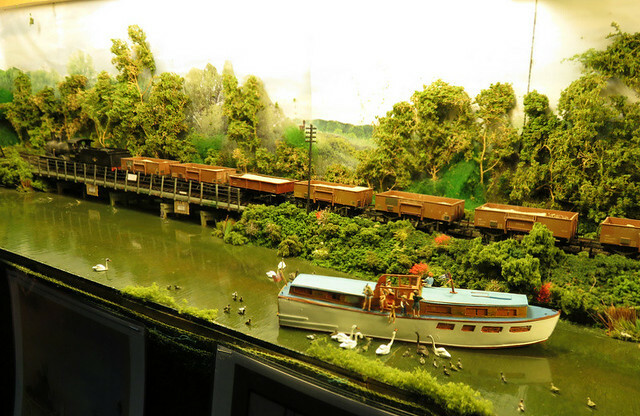 The article though is by Martin Collins about the Sussex Downs group layout, the Upsand Downs and Everleight Light Railway. 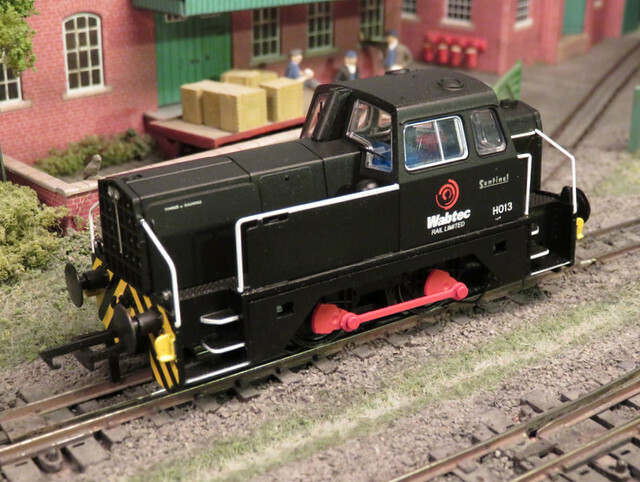 The photo was taken at EXPONG by Mich Thornton, where I'd placed my then recently completed Hunslet in front of the engine sheds (most of the club locos were in use with the entire layout in action). It couldn't haul any trains due to different couplings, but added a bit of interest. 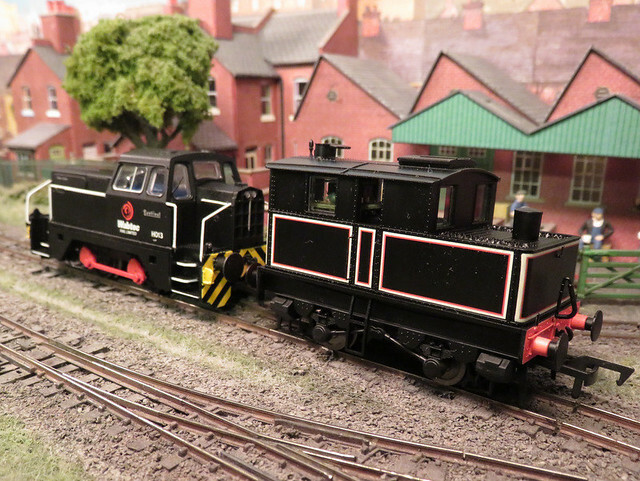 The loco on the right is one of Martin's Varikits, and like the Hunslet sits on the Minitrains F&C outside-framed chassis.